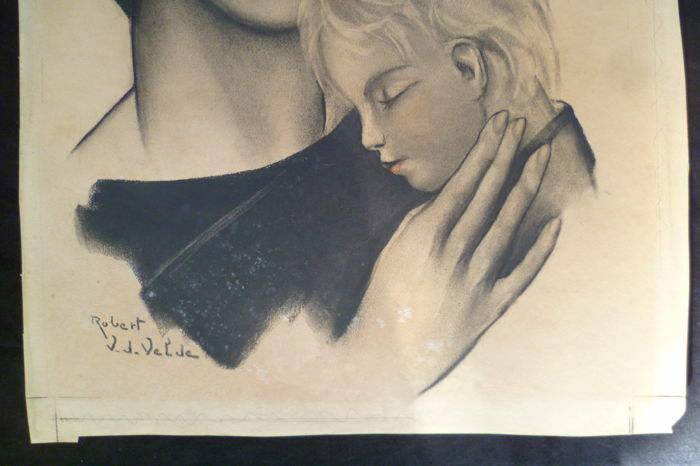 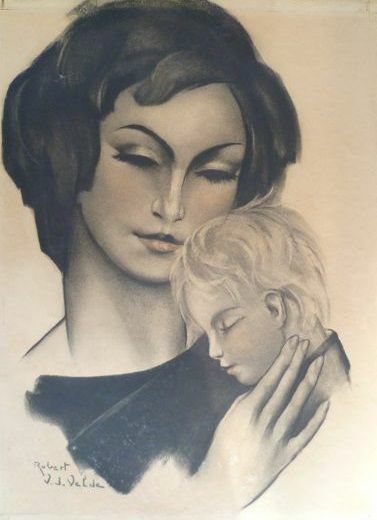 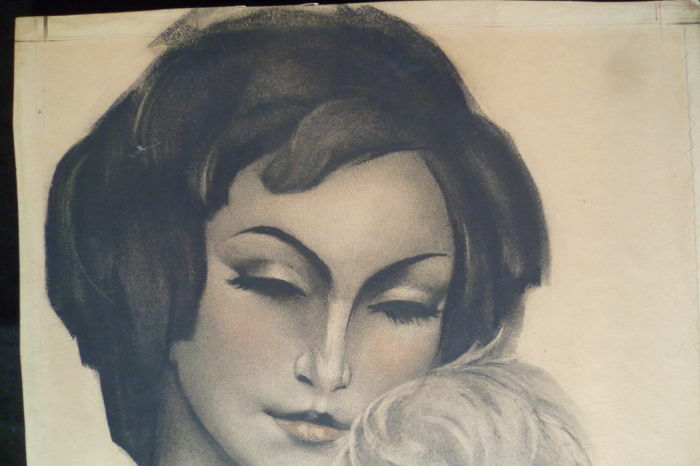 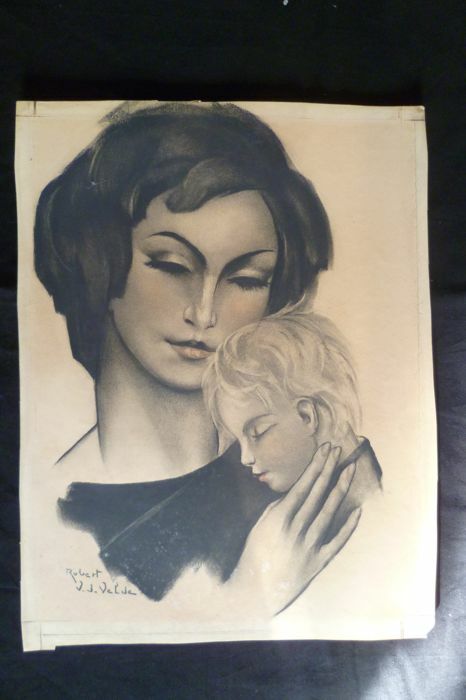 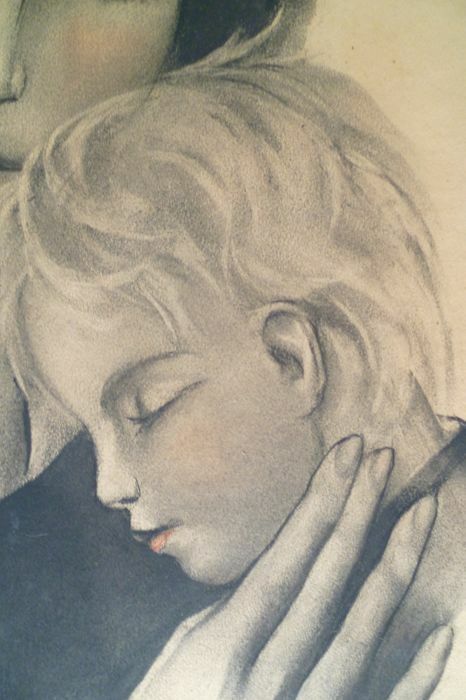 Charcoal drawing of a mother with child. 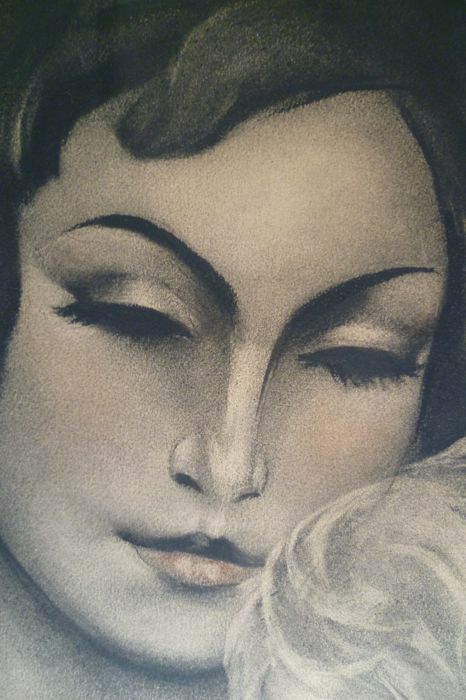 Light gold-plated background. 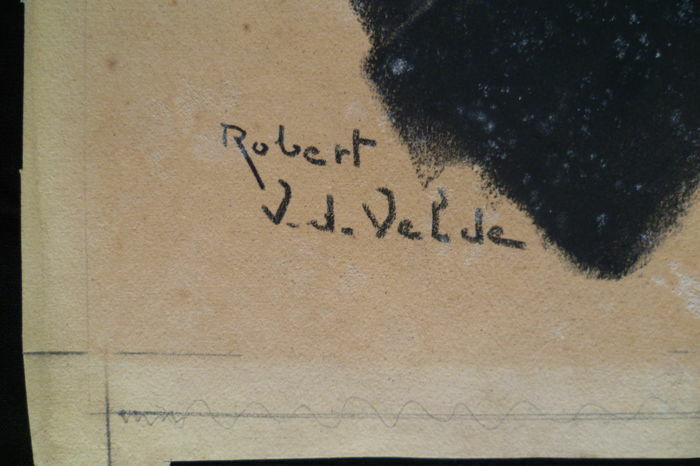 Clear signature.